Novels, novellas and chapbooks that will be published soon or have been published already. A plethora of awesomeness. Werewolves takes the form of an illustrated journal that plunges readers into the life of a high school girl-turned-werewolf as she makes her transformation. After Alice and her brother are bitten by what they assume are large dogs, her journal/sketchbook becomes a place for her to record the changes they start to experience her socially awkward brother falls in with some creepy new friends, and she surprises herself with new strengths and instincts and a suddenly nonvegetarian interest in raw steak. 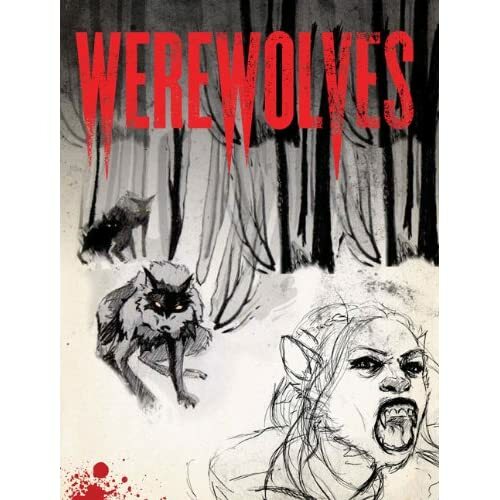 Joining the werewolf pack that bit them, they discover the pleasures and dangers that come with the cycles of the moon, including threats from “hunters” who stalk them, a researcher seeking a cure, and escalating violence within the pack itself. With a fresh take on the lore and legend, Werewolves gives fans a ripping tale to sink their teeth into. “The first thing you notice is how utterly gorgeous the simple illustrations are. Doodles of people, random colourful scribblings, the sorts of thing someone might well sketch in their journal. Seriously, how utterly beautiful are these!! The journal entries themselves have the right feel. Sometimes Alice is focussed, needing to record certain facts, sometimes more general distracted ramblings and Alice thinks things thorugh to herself.